This policy will also apply to the CVUUS book table, and to any other book-selling activity (e.g., book fair) conducted by Champlain Valley Unitarian Universalist Society’s Library team in support of CVUUS Library and the mission of the Society. The policy can also help guide CVUUS curriculum collection development and web site links to recommended media. Support, enrich, and extend the mission, programs, and activities of the congregation. Foster active understanding of Unitarian Universalist principles and purposes. Reflect the diverse theological viewpoints within Unitarian Universalism. Encourage understanding of Unitarian and Universalist origins, history, traditions, worship, and denominational activities. Represent the many sources of spiritual insight and religious teaching on which Unitarian Universalism draws. Focus on the lives, works, and ideas of Unitarians and Universalists, past and present. Include the works of Unitarian Universalist authors and publishers. 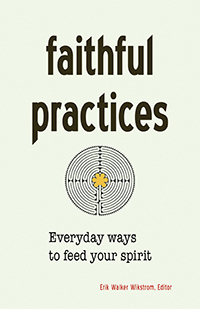 Support and enrich the lives of members and friends at all ages and stages in their spirituals journeys within the Unitarian Universalist tradition, emphasizing a free and responsible search for truth and meaning. Support and enrich CVUUS’s religious exploration programs for children and adults through materials that directly or by example reflect UU principles and purposes. Nurture parents and encourage parenting from a Unitarian Universalist perspective. Help people understand and cope with significant personal questions and issues from a Unitarian Universalist perspective: human sexuality, gender identity and roles, marriage and family life, separation, divorce, depression, substance abuse, illness, aging, death, dying, and grieving. Assist CVUUS staff, Board, and leaders, and the work of CVUUS’s many committees, teams, programs, projects, and activities. Foster an understanding of CVUUS and UU polity, governance, and procedure. Honor and uphold CVUUS’s Communications Covenant. Foster multicultural awareness and appreciation though a basic understanding of world faiths, holidays, customs, rituals, and the perspectives of diverse peoples. Encourage members and friends to be active in behalf of social justice and environmental responsibility, and to serve wider communities and the world in ways that reflect and extend Unitarian Universalist values. Avoid inadvertent and costly duplication of materials. Access information resources located in various areas on and beyond the CVUUS campus. Material is evaluated for inclusion in CVUUS library or in the book sale cart’s inventory on the basis of the foregoing criteria as well as by the more general selection criteria below. Donated material is evaluated in the same manner and by the same criteria herein described. Donated material that is not formally added to CVUUS Library may be: (1) included in our book sale cart inventory, (2) otherwise sold to benefit CVUUS programs, (3) given to other organizations that might use them, or (4) returned to the donor(s) at their request. The term “selection” refers, in this policy, to the ongoing processes of acquiring new materials, removing obsolete materials, replacing still-valuable but lost or worn materials, and evaluating donated materials for inclusion in the library and book table collections. Therefore, “selection” means a decision about whether to add material to the library collection or to remove material already in it. Delegation of Responsibility: The Board and congregation, via the Minister, delegate responsibility for selection of (1) general library and book table materials to the CVUUS Library Coordinator; (2) of committee-specific materials to CVUUS committee chairs, and (3) of staff-required materials to the respective CVUUS staff members, within the context of this materials selection policy and approved budgetary guidelines. CVUUS Board, staff, and committee members who acquire library or program resources for CVUUS, utilizing their respective CVUUS program funds, will observe the selection principles, policies, and procedures outlined in this document, as will the Library Coordinator and team. Develops and expends materials budgets judiciously. Coordinates the selection and ordering of materials for CVUUS Library and book sale cart. Uses the CVUUS Materials Selection policy and related procedures to carry out materials selection. Consults with and advises CVUUS staff and other CVUUS groups about their library resource needs and purchasing. Reads reviews and stays abreast of relevant Unitarian Universalist-related publications. Checks the library catalog to avoid unintentional duplication of resources, purchasing or accepting duplicates only of extensively used or potential group-read materials. Weeds the collection of worn or obsolete items. Evaluates gift material using these CVUUS selection criteria. Purchases replacements for worn, damaged, or missing materials considered basic to the collection. Orders materials from standard book, media, and library sources (e.g., wholesalers that offer libraries generous discounts as well as standard library cataloging and processing services) or purchases resources from local sources depending on the nature of the material, the time frame, and other professional considerations. Selection by the CVUUS Board and Other CVUUS Committees: Responsibility for the selection of Board or committee-specific program materials rests with Board members and committee leaders respectively, in consultation with CVUUS staff and the Library Coordinator in order to avoid unnecessary duplication of resources. Selection by CVUUS Staff Members: Responsibility for the selection of staff-specific program materials rests with CVUUS staff members, in consultation with the Library Coordinator and any relevant committee members in order to avoid unnecessary duplication of resources. Responsibility for Cataloging: CVUUS Board, staff, and committee leaders are asked to provide the Library Coordinator with information about any materials acquired with CVUUS funds or donated for CVUUS use so that they can be cataloged to make them accessible to all, to avoid unintentionally duplicating them, and, in general, to steward CVUUS’s information resources responsibly. Summary: Those responsible for materials selection within CVUUS will be guided by this policy, placing the Society’s mission above personal opinion and reason above individual bias in the selection of materials of the best quality in order to assure a comprehensive, well-organized, and accessible resource collection for use by all CVUUS staff, leaders, members and friends. Useful special features—illustrations, photographs, maps, charts, graphs, etc. Lack of bias and stereotyping—Note: Under certain circumstances biased materials may serve as appropriate resources to present contrasting and differing points of view, and biased materials may be employed in order to teach about bias, stereotyping, and propaganda. Also, classic and contemporary literary works, periodicals, and specialized materials may be selected even if they do not meet this general standard, if otherwise necessary or appropriate. It’s important to note that infrequency of use, as indicated by library circulation statistics, is not necessarily a reason to discard items. In a church, many library items are browsed or used without passing through the library’s circulation system. Similarly, publication date may not necessarily be an automatic factor in a decision to discard an item. Older materials may have historical UU or CVUUS value. Ultimately space becomes a definite limiting factor in library collection maintenance. CVUUS recognizes the right of a CVUUS member to question the inclusion of a particular title in the CVUUS Library. The following procedure is recommended for handling concerns about library materials, where “concern” here refers to an active, intense question about why an item is included in CVUUS Library or to a suggestion that an item be removed from the library or restricted from use, on the grounds that the item is, in some way, objectionable. 1. An individual who has an active concern about library material and seriously questions its presence in CVUUS Library is encouraged, in the spirit of the CVUUS Communications Covenant, to talk directly to the library coordinator, the minister, and/or the Director of Religious Exploration (DRE) about the concern. 2. These three (i.e., minister, DRE, and library coordinator), upon learning of the individual’s concern, will mutually inform each other of it, maintaining confidentiality around the concern. 3. If initial conversations seem not to lessen the concern, the individual will be given a copy of or directed to this CVUUS Library Materials Selection Policy, including the statements of intellectual freedom and freedom to read that are considered foundations of the policy. 3. If requested, the minister will meet further with the individual to listen actively to the concern. During the meeting, the minister will again refer the individual to the CVUUS Library Materials Selection Policy to make sure that the individual has become familiar with it. 4. If the individual remains concerned about the library item to the point of insisting that it be removed or restricted from use, the minister will send or provide a letter explaining the option formally to question the item’s selection for the congregation’s library. The letter will also contain a “Request for Reconsideration of Library Material” form. 5. If the individual officially submits the “Request for Reconsideration” form, the minister will convene a committee of members and staff to review the concern. The committee will include, in addition to the minister, the church library coordinator, the Director of Religious Exploration, a board member, and a CVUUS member at large who has a very good grasp of UU congregational process, library procedure, freedom-to-read principles, and/or the subject matter involved. 6. The library coordinator will explain the committee’s charge to them. Within a reasonable amount of time, the committee will review the procedure by which the material was selected or accepted for the CVUUS Library collection, in order to determine whether proper selection procedure was followed and selection criteria met. The committee will vote on whether to retain the item and will inform the individual of its decision and the reasons for it. During a book or media challenge, it’s important to emphasize: (1) the fundamental principles of intellectual freedom and freedom to read, (2) consideration of the work as a whole, and (3) the process and criteria by which materials are selected. Guidelines for the Development and Implementation of Policies, Regulations and Procedures Affecting Access to Library Materials, Services and Facilities. 10 October 2000. American Library Association. Online December 14, 2013. Instructional Materials Policy. 20 May, 2008. Bellingham, Washington: School District 501. Online December 14, 2013. 10 Quick Ways to Analyze Children’s Books For Racism and Sexism. California Sate Department of Education, 1998. Online December 14, 2013. Washington Models For The Evaluation Of Bias Content In Instructional Materials. State of Washington, 2009. Online December 14, 2013. Weybridge Materials Selection Policy. Weybridge Elementary School, Online December 14, 2013. Office for Intellectual Freedom. 1996-2013 American Library Association. Banned Books Week. 1996–2014 American Library Association. Challenges to Library Materials. 1996–2016 American Library Association. Code of Ethics of the American Library Association. 2008. American Library Association. Freedom to Read Statement. American Library Association. 12 July 2000. American Library Association. Frequently Challenged Books. 1996–2016 American Library Association. Intellectual Freedom Manual. 7th ed. Chicago: American Library Association, 1996. Intellectual Freedom Statements and Guidelines. 1996-2013. American Library Association. Libraries: An American Value. 3 February 1999. American Library Association. Library Bill of Rights. 23 January 1996. American Library Association. Library Bill of Rights Interpretations. 1996–2016. American Library Association. Sample Request for Reconsideration of Library Resources. 1996–2014. American Library Association. Workbook for Selection Policy Writing. October 1999. American Library Association. Note: Some of these resources may be traditionally or specifically Christian in content but can still have relevance to UU congregations. Church Library Basics. 2013. Religious Product News. Online August 18, 2014. Establishing A Selection Policy For Church Libraries. n.d. Pacific Northwest Association of Church Libraries. Online December 14, 2013. The Church Library: An Outline of Procedure. n.d. Abilene Christian University. Online 14 December 2013.